Jelco TK850S ToneArm with New Knife Edge Bearing. 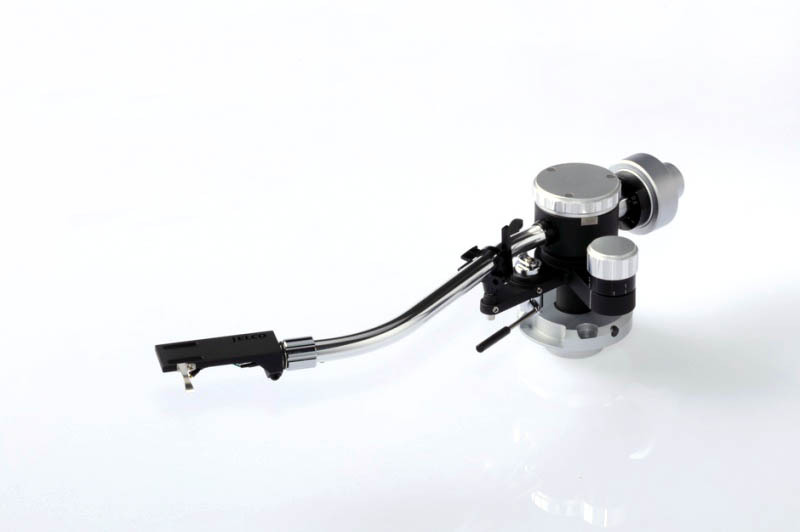 This arm is getting a lot of attention from Audiophiles for its increased realism, and just an overall 'rightness' to playback. Incredible performace from a relatively inexpensive arm. An improvement in soundstaging is immediately obvious as is speed of attack, or rise-time. Depth and width are improved. The music is more colorful. Trombone sounds more golden than I recall while the guy playing tuba sounds like he is huffing and puffing into the instrument. An added realism. Rim shots are faster and snares portray more insight into the rattles -the metal has color and feel...a mechanical quality. Percussion is much improved. Surface noise seems reduced, surpassed even. Wonderful vocals and very dynamic with jump out of the stage piano fortissimo that I have never heard before.